*Civil rights activist Najee Ali, one of the leading activists in Los Angeles and political director of The National Action Network (L.A. chapter), a national civil rights group founded by Rev. Al Sharpton … lead a protest rally in support of quarterback Colin Kaepernick. The rally was attended by several dozen activists who protested outside the L.A. Rams and Dallas Cowboys pre-season game which was held at the Los Angeles Memorial Coliseum Saturday afternoon. The protesters were outraged that Kaepenick has not signed as of yet with an NFL team and believe he”s being blackballed by NFL owners for his political beliefs. “Kaepernick is clearly being punished by the NFL owners a group of all white billonaire owners. These owners could care less about black issues and the fact that black men, women and our children were being legally murdered by police nationwide with state sanctioned violence. 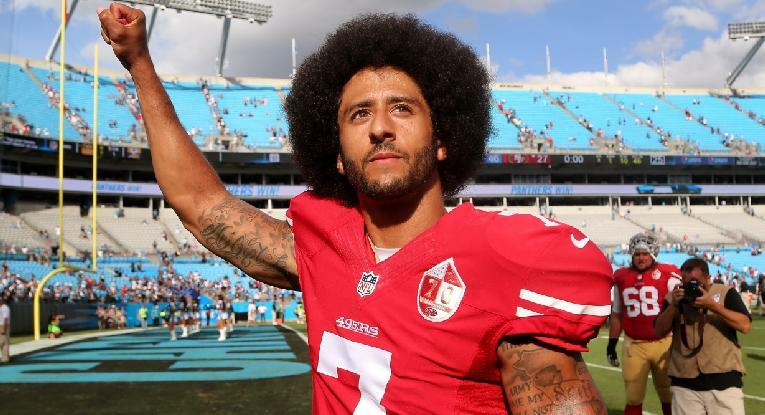 “Kaepernick jeapordized millions in contract money and endorsements in his protest to draw attention that black people and people of color were being killed by police with no convictions. 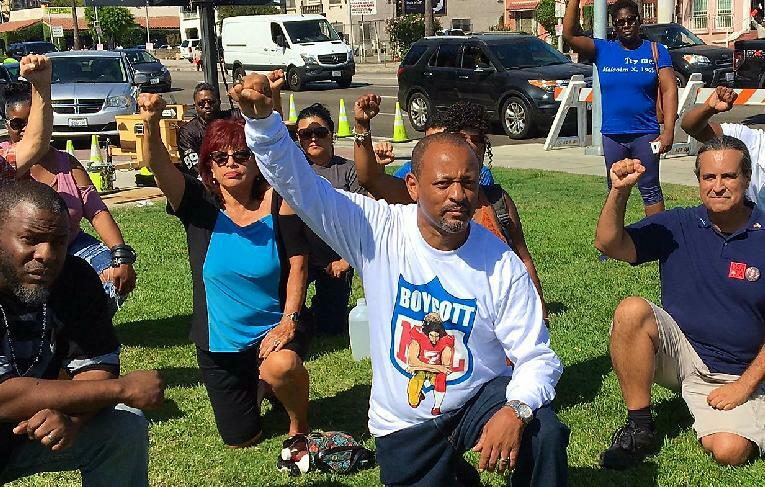 “NAN LA will continue to support Kaepernick until he’s signed and our next protest will be August 23, outside the offices of the NFL Network in Culver City, in solidarity with director Spike Lee and our brother and sisters in New York City who will protest the same day at NFL headquarters,” stated Ali in a press release sent to EURweb.